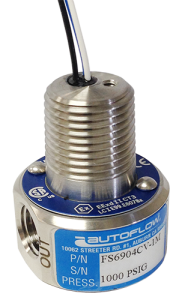 Autoflow Products is a manufacturer of Flow Switches for critical gas and liquid applications such as chemical analyzers, gas and liquid chromatographs, chemical injection systems, critical gas purges, and semiconductor processing. 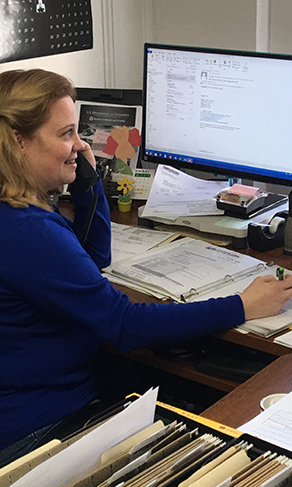 Established in 1982, Autoflow Products Co. is incorporated in the State of California. We are specialists in gas and liquid monitoring. We offer standard Flow Switch products designed for specialized OEM markets. 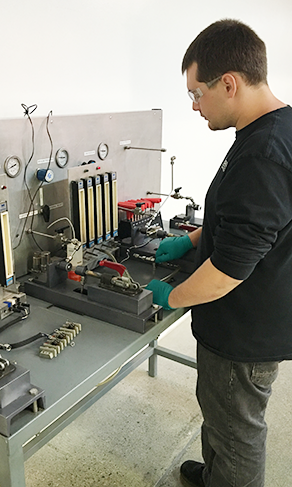 Typical applications include verification of sample flow for chemical analyzers and verification of critical purge gas flow. In addition to our standard flow switches, we provide customized products for extreme applications. Many of our switches are designed for hazardous location service with Class I, Div 1 & 2, Class II, Div 1 & 2 and Class III certifications. Please contact the factory for details. We manufacture Flow Switches in Monel 400, Hasteloy and Titanium. Give us a call to discuss your requirements. Flow Switches detect an increase or decrease in the flow of a gas or liquid within a system, and actuate an electrical switch at a specified flow rate set point. All of our Flow Switches are engineered with an adjustable flow rate feature that enables you to customize the switch for your system needs. They function at any attitude and have an internal filter. 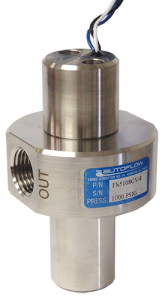 Autoflow Products high flow rate flow switches are for use in both liquid and gas applications. 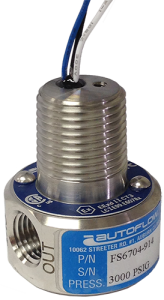 These quality flow switches detect either increasing or decreasing flow rates from .5lpm to 700lpm. The 316 stainless steel construction and variety of softgood options ensure compatibility with most gas and fluid systems. The setpoint is adjustable and all models are attitude insensitive. 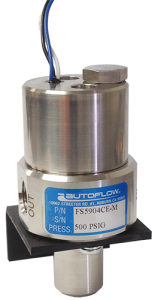 Autoflow Products high quality flow switches, available for both gas and liquid are packaged in a compact, chemically resistant 316 SST micro package for easy installation in smaller systems for monitoring purge gas , excess flow, system analyzer and gas chromatograph flows. Several softgood options ensure compatibility with most liquid and gas. 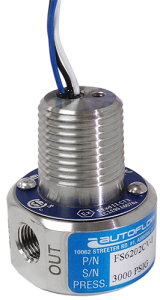 This adjustable switch will detect either increasing or decreasing flows. #116, 11979- 40th St. S.E.